This is Yash From India. And I am a regular reader of your all Blogs And Suggestions Help me a lot. Your site HappySchoolsblog.com is very helpful to me for preparation for GRE. Specially Books Reviews for Maths And Verbal. I had taken date of GRE on 27th July.I hope i will score good. I want to Ask some questions regarding Tofel Or IELTS. I am worried about Whether i choose IELTS or TOFEL? I have 3+ Years of Work Experience in IT industry and I had completed my Engg. with 2.34 GPA. Some of my friends told me To choose TOFEL Due to my law GPA And VISA Officer may ask for Why IELTS.So What is the option for me IELTS or TOFEL? I had given ETS Powerprep test and Kaplan tests. I got average 295-300/340 (135-140 Verbal And 158-163 Quant). My performance in verbal is so bad. Hardly got 10-12 questions right from 40 ques. Now i have less than a week. Can you suggest me to increase my score. I had not yet decided 4 university to send my gre Score. around 295-300 Score. Please check my Below List of Uni. Can you Suggest me Some more universities to apply? Why did you select above 3 schools? Can you list the reasons? 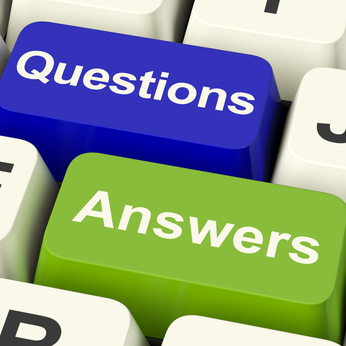 Posting your question to wider audience. Good luck. and North dakota state university can any one suggest me one more university to apply? Well GRE scores are on a lower side, but you ca consider some other Universities in addition to what you have applied to. For more suggestions on Universities that could be considered, kindly post your profile details in the forums section. i just wrote gre and the result came out just too below my expectation.v-138, q-147..and ielts – 7.5 avg. could you please suggest me any uni in USA for MS in computer sc.? i have 83%in 10th,67% in 12 th ,7.78 in b.tech, and several project experiences. is there any chance of getting any fund or any kind of financial help ? Could you please suggest some universities apart form the ones i have listed below.Also please rate my chances of getting into these programs. can any1 tell me if i am eligible to do ms in biotechnology with the above score? can u plz suggest me some universities in USA which would accept these scores??? For admissions about California 2013 spring, check out this link. Thanks a lot.. You had make my day. Now i have many options to apply. Can anyone suggest me best universities for Electrical engineering from list?? I had given my GRE and i got 291 Score(156 Quant . 135 Verbal) , 3.0 Analytical Writing. Can anyone suggest me some good uni. in California? Because in state uni of California does not have admission open for SPRING 2013. They only offer FALL 2013. I am a 2012 passed out graduate. I had given GRE last year and got 1220, and am going to give toefl next month and am expecting a score around 90. I want to apply for fall 2013 for CS. Would there be any problem to get admission into good universities as there will be 1 yr gap. no i dont think so that you have to face any problem in admission as you have a average score in gre and your expected tofel……… the only difficulty you will face is regariding visa interview, as you have to gave a solid reason for your 1 yr gap to the visa officer ………. and you also have to take a care for the universities deadlines….otherwise all the thing will be gone your way…..
i want to apply for universities in minneapolis. Can u suggest me some universities which matches my profile. You can do both..but the thing is that you get to send your scores to 4 universities for free immediately after giving the test on the test day itself…from then on-wards they charge $23 for sending them to each university. So it is better if you atleast have an idea where do you want to apply and take advantage of free recipients. can you plz tell me that we have to apply for that 4 universities on the spot , after giving up with our gre exam on test centre……… or we proceed it at our home on that same day……. and if it has to be done on test centre than how we are able to remember the universities according to different gre score…… as we are not sure about our scores and what will happen on the test day….. there may be deflection in our scores from the score that we got in our practice test……… plz reply me…. I have a question. If you have a GRE score of 333 out of 340 (165 Verbal and 168 Quant) what are the chances of getting financial aid for an MS in aerospace engg.? Which U.S. universities would you recommend? No. I had in fact posted the inquiry for my son who is in his fifth semester of engineering studies. plz sumebody guide me how to plan now actually so that i can score in gre 310+. It is difficult to suggest universities without knowing what your interests are. There is nothing mysterious or intimidating about GRE. As Big Joey says, put in a lot of hard work and you can score well. Some of the useful preparatory materials (Manhattan, Grubers, Kaplan) have already been suggested here. Take a lot of practice tests. If you are not confident about your English, study with a group of friends who are all preparing for GRE. Since you are an engineer, I assume that the quant part would be easy for you. You can make up for your low GPA by scoring high in GRE and writing a truly compelling SOP and getting good recommendation letters. But you must have a very clear sense of what you want to study and why. Good Luck. I have completed my BE from medical electronics. i wish to do my MS in USA . so do i have to have to prepare for all the three IELTS TOEFL and GRE for entrance in MIT (USA) for MS in Biomedical Engineering?? Even m planning for Spring 2013 in San Jose State University. When I used to practise, I also used to get a very low score in the same range as u stated. But I kept studying and improving on my weak points wherever possible. I considered Quantitative as my weak point so i was more inclined towards increasing accuracy there. But in the final days, i worked on strengthening my strong points. I scored 311 in the GRE with this technique. Just be confident with your preparation, & give ur best. Well.. i got my score not so impressive 291(135 Verbal , 156 Quant) And 3.0 in Writing. Do you have any idea of SAN JOSE University for Spring 2013? Do you recommend me any Uni. in California State? California State University at Long Beach may be an option worth trying. They ask for a GPA of 2.7, recommend GRE for students with a GPA lower than 3.0 and TOEFL scores. If there are weaknesses in your previous work, they allow you take make-up courses to remedy these. Check out their website at http://www.csulb.edu . They have two Master’s level options – Computer Science and Computer Engineering. Copied below is their contact information. I will Call dept. today And let you know. i am planning to take gre in 3 weeks …and i am facing lot of problems in quant section…currently i am using barrons but i am not satisfied with its level…can u guys plz suggest some good book i can refer to score high in quant. Use KAPLAN And if time remains use Grubbers list. You can find more details about book in GRE BOOK Section. It will help you. I had called to uni. And I found that they do have SOFTWARE Engg. Course. They Only offer Computer Science And Computer Engg. in Graduate Programs. Can you Suggest me any other option? “Graduate Programs” mean Master’s Degree programs. Bachelor’s level programs are generally referred to as “Undergraduate” programs. Since you already have a BTech (or BSc Engg), I assume you want to pursue a Master’s level program. I still like Long Beach because the fee is reasonable (Of course, they are all expensive, but this is less so than most at about $17,000 for out-of-state students), and though Long Beach is an expensive town, the campus board and lodging is about $13,000 for 12 months. I have posted some information about Sacramento State University (part of the State Univ. of California system) but I wasn’t too successful in finding out their preferred GPA and GRE scores. The best thing may be to write to the e-mail address of the Computer Science Dept. which is on the website. California also has a State College system (different from the State University System) but many of them don’t have engineering colleges. Software development is offered on some campuses but this is usually part of a computer science dept. and not part of an engg. program. After your BTech, I wouldn’t advise you to go to a non-engineering dept. California State University’s other campuses like Davis, Fullerton, Riverside, LA, and San Diego have programs which suit your requirements but the admission requirements tend to be tougher than Long Beach. If you don’t mind going out of California, University of Washington (Bothel campus) has software engg. programs at the Master’s level. Washington State is on the west coast and is very beautiful. It is also the home of Microsoft and Boeing. So the engg. departments are bound to be excellent. Take a look at the website. Don’t waste a lot of money on phone calls; send an e-mail to the concerned dept. (Most of them have a coordinator whose e-mail address is given) and they will write back. You can always call them if you need clarification on some point. Take a look at Oregon also, just north of California and south of Washington. I took a quick look at the State University, but they don’t seem to have a software engg. program. There are a few good private universities, but I think they tend to be expensive. If you find the Long Beach costs less than San Jose and Santa Clara, give it a try. The university itself is ranked pretty high on the US News & World Report rankings. Some of the engg. departments are highly ranked, but the engg. school itself is only 137 (not terrible when you consider that it is for the whole of U.S.). It is a State university and you will never run into the kind of trouble like Tri Valley and Higuera. Once you are there and do reasonably well in your courses, you can get at least partial financial assistance which would ease the burden on your parents also. Good Luck. I shall keep looking and pass on any information I find useful. I have an old friend who lives permanently in Las Vegas. Let me check with him about Universities in Nevada. If he is agreeable, I shall pass on his e-mail address to you. Hope everything works out. Computer science touches almost all aspects of our daily lives. It is the basis of many of the endeavors in society today and continues to advance various areas and open new fields, among them the entertainment industry, engineering, government, medicine, manufacturing, science, space exploration and communication. From its theoretical and algorithmic foundations to cutting-edge developments in robotics, computer vision, intelligent systems, bioinformatics and other exciting areas, a comprehensive foundation in computer science allows graduates to adapt to new technologies and new ideas. Career possibilities abound for our graduates. The fast pace of technology has created many new and exciting jobs in computing, including computer graphics specialist, computer systems analyst, data communications analyst, database administrator, programmer analyst, software engineer, systems engineer, systems programmer, information assurance specialist, and network security engineer. Major employers of recent graduates are among the most prominent of US corporations and research laboratories, including Apple, AT&T, Bank of America, Bechtel, IBM, Intel, Lawrence Livermore National Laboratory, NASA, NEC, PG&E, Yahoo, SMUD, and the State of California, to name a few. Sacramento State’s Computer Science Department is one of the oldest and largest computer science programs in the CSU. Our baccalaureate and masters programs have educated computer professionals since 1969. Currently our programs serve approximately 500 majors. In addition, the Department offers a variety of service courses to non-majors who seek practical experience in the application of information technology. The Bachelor of Science in Computer Science is accredited by the Computing Accreditation Commission (CAC) of ABET. The B.S. program provides majors with a sound educational base. The Master of Science prepares students for research, teaching, or further study towards the Ph.D. in Computer Science or Software Engineering. (Currently the Ph.D. is offered by the University of California in various locations and some private institutions such as Stanford University.) Our programs also enable individuals with background in other areas to obtain the skills and knowledge necessary to enter and/or advance in employment in computer-related industries. 2. Bachelor and Master of Science, Computer Engineering (Electrical and Electronic Engineering Department). Thanks a lot for your help and effort. I really appreciate it. I had done B.E. (IT) From Gujarat Board. I have very low GPA (2.34/4). And 4 Year of Experience as a Software Engineer. And Want to pursue my MS in Software Engineering. But in California Only 3 State Uni. offer Software Engg. So I had Choose Second option of Computer Science. As you Said In Long Beach i have chance of Getting Admission. Can you tell me is it possible to take transfer from Computer Science to Software Engg. in next Semester. I want to study in San jose State Uni. in Software Engg. But i doubt. i m tryin for MS in CS for fall 2013 for te following univs. Can anyone plz tell me about the possibilities of admission in any of these universities.